I was born on 23.10.2010 at Wigan Hospital. It was only when I was born that Doctor’s discovered I had a port wine stain (birth mark) which covered all my face and the right side of my body. After the midwife tried to feed me I stopped breathing and was transferred to Alder Hey Children’s Hospital. I had a condition called Oesophageal atresia and trachea-oesophageal fistula (my food pipe was connected to my wind pipe and I had a pouch at my throat) would need immediate surgery and was life threatening for emergency surgery. Unknown at this time this would be the first of many operations. I spent many weeks on a ventilator in ICU and in this time with lots of X-rays, scans, and tests all my other problems were found. I had 2 holes in my heart and I underwent open heart surgery at just 7 weeks old. 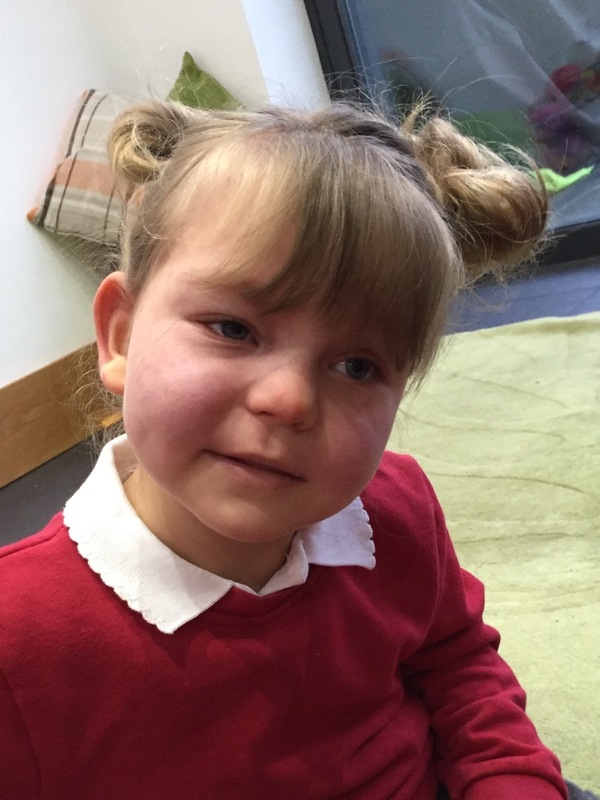 Mummy and daddy also got told that my birth-mark is part of a rare condition called Sturge-Weber Syndrome I have all its associated problems, glaucoma, epilepsy, paralysis or weakness on one side and learning disabilities. I was in Alder Hey Children's Hospital for 3 months and after many operations blood transfusions and medication I was able to go home. Since leaving Alderhey I have had 7 surgeries on my throat to stretch the scar tissue, I still struggle with some food, it sticks but you would never know looking at me. I had a goniotomy in January 2012 at Manchester eye hospital on my right eye because I have glaucoma, fingers crossed this has worked up to now. I have also been admitted back into hospital many times, due to my seizures, and one bad visit left me without the use of my left side but they are currently under control. I also had video EEG and further MRI to see if I was a candidate for a hemispherectomy, unfortunately I’m not as they discovered that I have Bi-lateral Sturge Weber Syndrome. I have lots of problems and a significant development delay, I still can’t walk or talk but I’m trying, my left side function is slowly coming back I just need to stay strong. So I play and smile and make people laugh because I can do that, Mummy and Daddy tell me every day how special I am, how much I am loved and I know I am. Mummy and daddy talked a lot when I was first in Alderhey about wanting to give something back to everybody who helped me get better, daddy had some mad ideas and mummy tried to reign him in but they started fundraising with the help of family and friends in my name. they have raised thousands and donated it all to help other children and families. 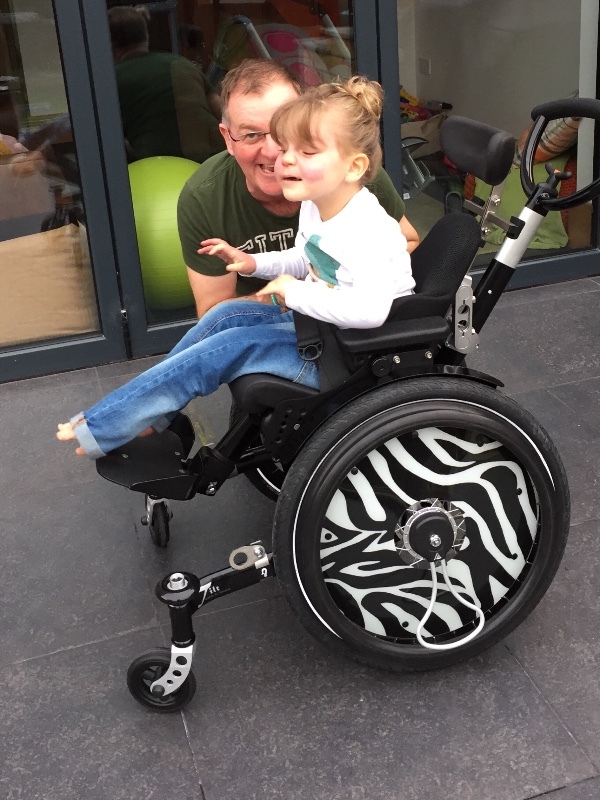 Every day they try to raise awareness of my conditions especially SWS through my story, but now I need new wheels and mummy and daddy are trying to raise £5000, to buy it. They’ve had to order it already as I’m too big for the one I’ve got and I’ve tipped it over quite a few time. The one that we’ve been offered from the NHS isn’t suitable for me and wont encourage me to be the best that I can be. Please help my mummy and daddy spread awareness and if you can help them in any way we really would be so grateful. Wishing you the best from the United States. My son Jamie has Coffin Lowry Syndrome. Also very rare and very complicated. We have truly learned what matters in life. Blessings to you. Your daughter is beautiful. My grandson has Sturge-Weber. One nurse told my daughter not to let people staring and pointing get her upset, that his port wine stain was from where the angels kissed him so much. Even with all the his difficulties, he is the happiest boy. He is about to turn 2 years old, and is getting a service dog in December. Our love to you and your special princess. 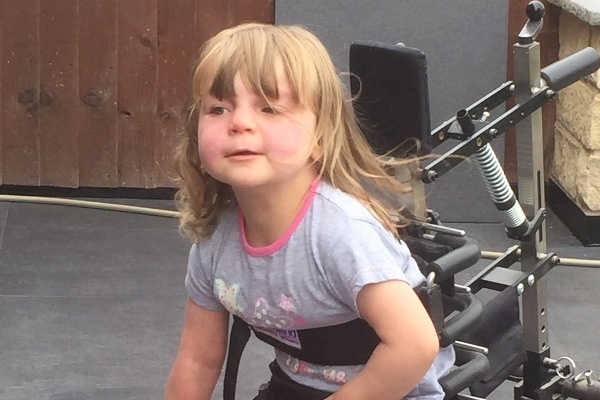 Delighted the family have reached their target of £5,000 for the new chair for Matilda's new chair. Hopefully donations will continue to pour in from people all over to allow the family a good holiday together now too. 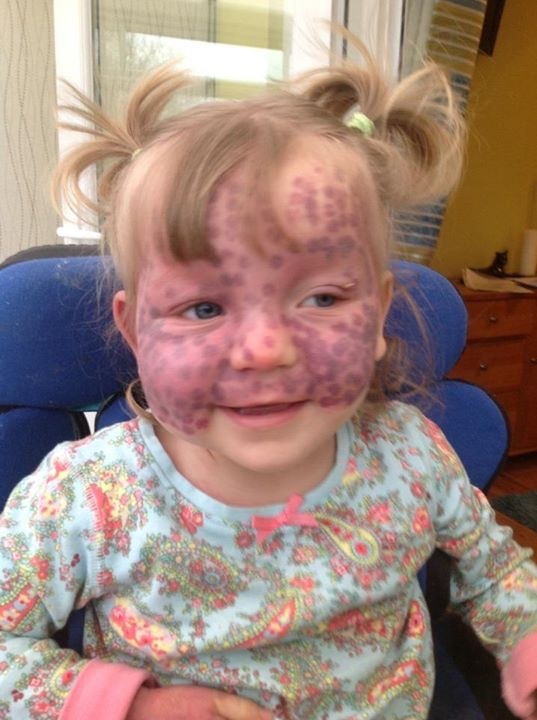 I like to just say this little girl is amazing.i was also born with a bitchmark and the right side of my body.i know all to well what this baby is going Thu and her parents.i myself have had three eye. Surgery do to glacoma and have just recently lost my hearing in my right ear and my left ear is slowly going.having a birthmark is no joke it controls your hole body.best believe I am a fighter and this little girl is to.So stay strong little one every day is a Battle. Just like to say i am so very pleased the new wheels have arrived. Many happy days exploring new techniques with them. 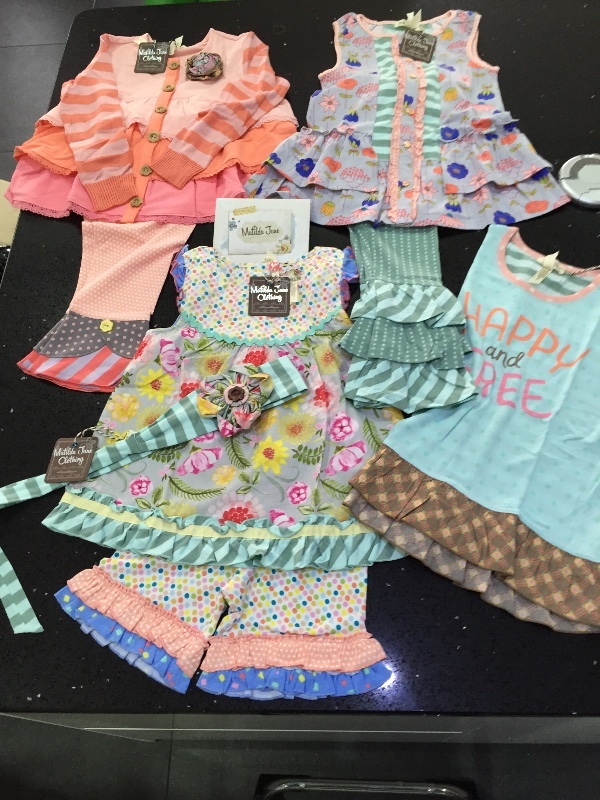 Wishing you the best, Matilda you are such a wonderful little girl. Please keep us updated. Thank you. Sending all my love amd hope you like your new wheelchair when it eventually arrives. you are a beautiful little girl! God bless you! what a great kid, an inspiration, i broke my back and you do consider throwing the towel in ,then you see some one like matilda, and feel humbled by her courage. 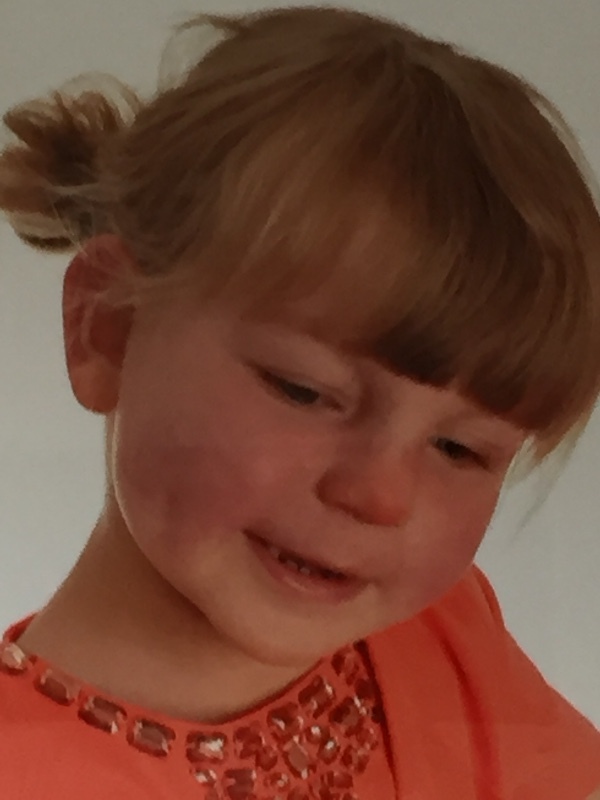 I have 6 healthy grandchildren and would like to help this lovely little girl.